"Prior planning, plentiful preparation and proper process prevent poor performance." Whenever I tutor students who were taught math via reform-math methods, one of the first things they have to do is learn a structured and consistent way to write down problems and calculations. Their experiences with reform math have left them with poor habits, leading to many errors and muddied understanding. It’s harder to “unteach” a poor process and replace it than it is to teach an efficient process from the beginning. The Law of Primacy says students tend to learn best what they learned first – even if what they first learned was wrong-headed. Once students learn something, they tend to go back to it, as a habit and an instinctive first reaction. This is one reason why proper process should be taught from the beginning. Unteaching requires extra dedication, patience, diligence and consistency. It’s hard work to change bad habits, but it can be done. And with mathematics, it must be done. It’s so important to instill good habits and efficient methods. Clarity is critical to accuracy; students who wish to be accurate in math must be focused on clarity as they write down their work. Traditional math methods tend to unfold vertically on the page because working vertically allows students to easily bring each aspect of an equation down to the next line. This is the clearest way to view work and to ensure that critical pieces are neither forgotten nor lost in a chunk of writing. The work is done incrementally to avoid confusion, just one or two steps per line. Mental math is done only for very basic calculations; other calculations are done on the paper so as to minimize error and allow for checking of work. I teach students to solve math problems on the left side of the page and do calculations on the right. Space is left between problems so that we can clearly see the pairing of the problem and the work that went with it. We don’t try to squeeze it all into some arbitrary snippet of space. As students progress, simple arithmetic and multiplying by -1 can be done in one’s head. This approach is crystal clear and easy to check. Naturally, reform math programs tend not to do it this way. Besides the nature of reform math programs – inherently confusing, word-heavy, picture-heavy, game-heavy, time-and-labor-intensive, and ultimately limiting – students also are encouraged to adopt poor habits and ambiguous notation. You wouldn’t believe what I’ve seen. Not only do students not know sufficient mathematics, but their work tends to be sloppy and riddled with errors. They aren’t taught to write neatly, check their work or correct as they go. Their attitude toward accuracy is casual; toward math in general, it's negative and stressed. Motivating them to replace bad habits with good ones is a challenge that takes time, positivity, creativity and much intensive labor. I don’t blame the children. I’ve heard administrators, board directors and teachers do that by saying things like “They’re just not motivated.” Or “They don’t care about math.” Or even “This is a low group.” I see a lack of motivation, yes, but I don’t blame students for it. They learn what they’re taught. If what they’re taught is boring, incomprehensible, time-wasting, hard on their self-esteem, confusing, or stupid – they won’t be motivated. Sadly, although the situation isn’t their fault, it is their problem. For most of them, this early learning will haunt their lives forever. It’s our problem, too. Graduates who have poor habits and insufficient academics are not capable of picking up the reins of the country. I’ve been able to correct some or all of the bad process in a handful of students, but I am only one tutor and there are about 28,000 students in this district. Most will go back to their regular classes, where good process is not allowed and is even criticized, and where bad process is reinforced. Here’s what I’ve witnessed in students going through (or graduates of) reform-math programs. They lack nearly all critical arithmetic skills. Some can’t tell time or say how many days are in each month. They don’t know their multiplication tables, long division, the number line, how to subtract negatives, how to work with fractions, how to convert between decimals, fractions and percentages, how to isolate a variable, how to solve an equation, how to read a problem, or how to show or check their work. Many count on their fingers. They're all pretty much math-illiterate and math-phobic. They don’t just lack skills; they also have zero confidence. One high school graduate panicked when I asked her to solve 6x8. Some cried over their math homework. They all tend to think the problem in math is them, and this embarrasses them. Some have actually apologized for taking up their teachers’ time. Asked to do some math problems, these students will often just plunk down an answer with no attendant calculations. If they do calculations, the work tends to be indecipherable – scribbled along the side, in a corner, or wandering around the page, in tiny print, too small for anyone – including the student – to read. Some students will automatically erase their work so no one can see it, or do it on a different sheet that is to be tossed out. Equations, if there are any, are often written horizontally (not vertically), with many “ = “ signs, sometimes with arcs, lines or arrows drawn to connect math terms. Many pictures and boxes are drawn because, in reform math, one correct and efficient method isn’t enough and can actually lose the student points. Because calculations often aren’t shown or aren’t done in a structured, vertical format, important pieces of an equation are neglected or forgotten, such as an all-important negative sign or a stray multiplier. Incorrect answers tend to remain on the page alongside correct ones. Picking out the work and the answer is difficult. Homework and worksheets often come from the teacher with no room for calculations because calculator use is expected. Extra worksheets often aren’t even to be graded. They're handed out for students to do if they want, but no one plans to review them. Students tend to reach for their calculator for the simplest of calculations, but the calculators don't consistently bring them correct answers. Fantastically wrong answers aren't questioned; students seem to have no idea of what a reasonable answer would be. Students are expected to “discover” important concepts – such as the slope of a graph, the point-slope formula or the Pythagorean Theorem – at home with their homework. “I can’t look for something if I don’t know what it is,” a student said to me, tearfully. Students aren't taught to work vertically; show their work; check their work; or to value efficiency, logic, correctness, neatness or legibility. They're not taught to carefully assess the problem for what it's asking, or to see if their solution actually answers that question. They're not taught to enjoy math, nor to enjoy the process of determining a correct answer. Instead, they learn to fret over math, to fudge answers, estimate, depend on the calculator, lean on “partners,” give up, get it over with, and accept whatever the “group” says is right, before blessedly escaping out the door. Last, but certainly not least, students are taught that their parents cannot help them. “Don’t teach your children traditional methods,” parents are told in open houses or on the first day of class. “It will only confuse them.” Imagine that – a failed education program actively interferes with parents helping their children. And then, that same program turns around and blames parents for not being involved enough. Many people nowadays are dismissive of efficiency. I’ve heard that “Process doesn’t matter; it’s the results that count.” But one doesn’t consistently obtain good results without proper process. Those who prefer “deeper conceptual understanding” over correct answers have a flawed understanding of what math is and what it’s used for. In the “real world,” math is a tool used to get a job done. Correct answers are necessary. That means that proper process is necessary. In the real world, “deeper conceptual understanding” is reflected by being able to properly use a tool to get a job done correctly and efficiently. In math, that ability is gained through instruction, practice and mastery of sufficient skills. Given proper instruction, a few people will come to love the field of mathematics and will want to delve more deeply into it, but for most of us, getting a deeper conceptual understanding of math is like getting a deeper conceptual understanding of a hammer. Math obviously is more complex than a hammer, but the principle is the same. For most of us, math will never be a philosophy; it’s a tool, and we need to learn how to use the tool. Once we know how to use the tool, then we go about using it. Understanding the basics of math cannot come without proper process and correct answers. Reformers don’t appear to believe that statement, but their disbelief doesn’t change its truth. Because every time you use the Charged Particles Method to teach negatives, a brain cell commits suicide. It’s simple to teach mathematical positives and negatives to a child. It’s been done successfully with the number line around the world, in private schools, homes, tutoring businesses and online. Unfortunately, many schools in America no longer teach the number line, don’t teach it to mastery, or they cloud any fledgling understanding of it by emphasizing other, less-effective methods. First, I’ll explain the number line. Then I’ll show you what’s being emphasized in its place. Naturally, people who love reform math prefer to not use the number line. Various alternate models are used that are not efficient and not comprehensive. Here are a few. These models (with myriad variations) are common to reform curricula. The examples illustrated below are quoted (with permission) from materials originating from two public entities: Henrico County Public Schools and the Georgia Department of Education. The wording is theirs. Please notice that the Georgia materials are said to be based on the Common Core State Standards. In this model, children are given a story that supposedly illustrates a mathematical calculation or equation. 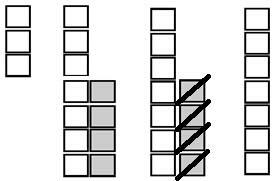 In the Stack Model, students draw boxes on top of each other in “stacks” and then count them. In the Row Model, students draw boxes in “rows” and then count them. Subtraction for the Stack and Row methods means creating pairs, as in the Charged Particles Method, then “adding zeroes,” crossing out items, and redrawing boxes over and over. 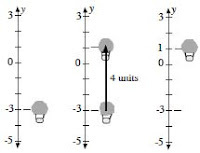 This figure illustrates the solution to 3 - (-4) = ? In the Balloon Model, things are moved up (added) and down (subtracted). This concept can be done with anything that moves up and down (airplane, elevator, swimmer, etc. ), but in the Balloon Model, sand bags represent negatives, and air bags represent positives. This illustration shows -3 + 4 = 1. (Comment: The Balloon Model is a vertical number line, but it labors to be more relevant by using a balloon (or elevator or airplane or the sea). Thus, the concepts don't match up with what happens in "real life." The biggest problem: "Up" and "down" is not equivalent to "more" and "less." Balloon Model: In real life, subtracting a sandbag lessens weight, while adding a sandbag adds weight. In the model, however, subtracting a sandbag somehow makes a quantity larger, while adding a sandbag makes it smaller. In the Building and Airplane models, nothing is added or subtracted to make a quantity larger or smaller; the movement up and down is mechanically driven. In the Sea Model, you could say that blowing air out of one's lungs (subtracting air) makes a person sink, although the change in weight would be negligible. But how does one add air under water? In reform curriculum Investigations in Number, Data, and Space (aka TERC), students are taught to think of “net changes,” rather than addition and subtraction. Students use manipulatives to act out the "changes." They count things and keep tallies. If you search the term “negatives” on the TERC Web site, you'll have a difficult time finding actual negatives, but games about thinking about negatives are explored. Actually, take a few minutes and skim through the 1st Edition units for TERC. 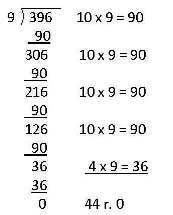 This is the approach to K-6 math that has helped to kill off math proficiency in the United States. Each of the reform math models illustrated here is missing one or more critical concepts, such as zero, negatives, fractions, decimals, large numbers, and/or infinity. They don’t adequately explain negatives, or show that the larger the negative number, the smaller the quantity. They don’t handle all scenarios. Perhaps some are “fun” for a very short while; others are probably no fun at all. Time spent on these models wastes time, builds frustration and creates misunderstandings. Instead of clearly cementing concepts about addition, subtraction and negatives, the children are filling paper bags or talking about “negative” traits. Without an understanding of the principles behind the number line, students can’t add and subtract negative numbers with proficiency. Without that capability, algebra, geometry and calculus will be beyond them. I don’t know why so many people in public education seem not to respect the need for efficiency, effectiveness, sufficiency or student proficiency. Math is a tool, used in the "real world" to get a job done. Time is important; efficiency is vital; correct answers are critical. Those who can use math properly will be hired over those who can’t. There is no time in the “real world” to discover methods, struggle with basic math, or constantly ask a “partner” for help. But math reformers seem to think they have all the time in the world. To them, math isn’t about efficiency and correct answers; it’s about struggle, failing, striving and playing games. Many reformers truly believe that if the teaching was efficient, the lesson failed. Thus, they’re motivated to not just prefer the inefficient models, but to actually eliminate efficient models, to mock them and to label them as counterproductive. Help your children gain a solid grounding in math by teaching them the traditional methods, such as long division, vertical multiplication and the number line. Traditional methods were developed and honed over thousands of years by very clever adults so that they would be efficient. More-efficient models will be developed, no doubt, but the reform models I've described are not better models. Don’t let anyone convince you that efficiency and effectiveness in math are unnecessary or counterproductive. People who actually use math (outside of a K-12 classroom) don't believe that. Rogers, L. (October 2012). “In defense of the number line: Reform methods for teaching negatives fail on decimals, fractions ... and negatives." Retrieved (date) from the Betrayed Web site: http://betrayed-whyeducationisfailing.blogspot.com /. On Oct. 7, I wrote about the difference between division done via a traditional method, and division done via a reform method. The reform method that I illustrated doesn’t work in all situations. It doesn’t handle decimals well, or efficiently manage larger numbers. 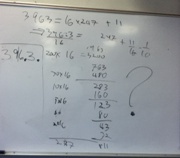 A pro-reform-math professor who used the reform method to divide 396.3 by 16 was never able to get the correct answer despite several attempts and a white board filled with numbers. This week, I’m explaining the difference between multiplication done via a traditional, vertical method, and multiplication done via two, different reform methods. The traditional method is clear and efficient; the reform methods are neither. First, we’ll review the traditional method. 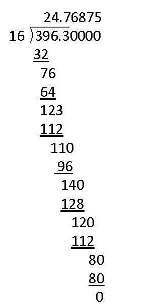 Vertical Multiplication (traditional math): 1,642 x 849 = ? The traditional model quickly and efficiently provides a complete and correct answer: 1,394,058. This traditional model works well in all situations, including problems containing decimals or large numbers. With this method, it’s easy to keep track of one’s work and to check for errors. Now, let’s look at the reform approaches. 1. Cluster Method (reform math): 1,642 x 849 = ? “I know that 1,000 + 600 + 40 + 2 = 1,642. And, I know that 800 + 40 + 9 = 849. So, I could say that (1,000 x 800) + (1,000 x 40) + (1000 x 9) + (600 x 800) + (600 x 40) + (600 x 9) + (40 x 800) + (40 x 40) + (40 x 9) + (2 x 800) + (2 x 40) + (2 x 9) = ? In most reform classrooms, I would be given a calculator. I would plug in the numbers, and I might get a result of: 1,365,258. If I were a student, I would turn in this answer, and it would come back marked incorrect. I would have no idea of why it’s incorrect, and neither would my teacher. I might never find out that I plugged in 3,200 instead of 32,000. Clusters also can be done after factoring the multipliers, but I doubt reformers would use the Cluster Method to solve problems containing this many digits. They would recommend using a calculator. The entity doing the calculating, in that case, would be the calculator and not the student. Little actual learning or practicing would take place. A serious limitation of the Cluster Method is in the decimal. If either multiplier contains a decimal, how does this method handle it? The children would be stumped, and out would come the calculator. 2. 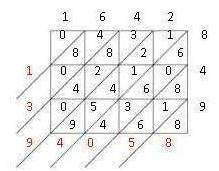 Lattice Method (reform math): 1,642 x 849 = ? You can see that 1 x 8 = 8, 6 x 8 = 48, 4 x 8 = 32, and 2 x 8 = 16, and so on. The answer is alongside the left and bottom of the grid: 1,394,058. However, it’s difficult and time-consuming for children to accurately draw these grids and diagonals. Any mistakes made in drawing the form, filling in the squares, or adding the diagonals will muddy their understanding. Checking one’s work can be done with this method, but with so much going on in the grid, it’s more difficult to do. And again, what if the problem contains a decimal? Where on the grid does a decimal go? If a problem contains larger numbers, the grid also must be larger, resulting in more squares and diagonals, and more possibility of error. What if the multiplication problem resides within an equation, or within a division problem? The traditional methods of division and multiplication efficiently provide us with a correct answer. These methods also are flexible. If a remainder is required, the remainder is there after the second step. If a fraction is required, the fraction is easily gleaned from the remainder. 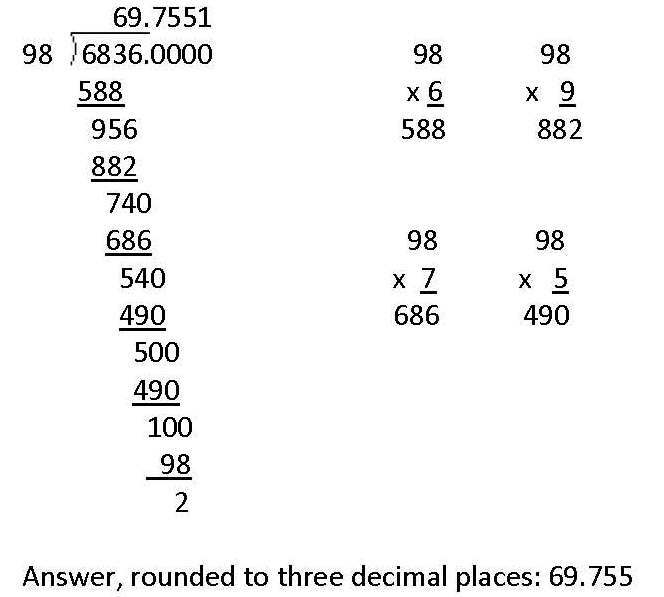 And if a decimal is required, the work continues through the desired number of decimal places. A serious limitation of this process, however, is again in the decimal. What if the answer to this problem must be in decimal format? 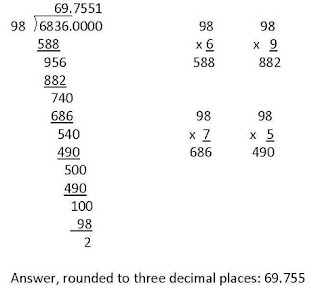 Children will be stumped on how to multiply their way to a decimal. If only using calculators for everything at least produced math proficiency. Calculators are everywhere in reform programs. They permeate public education, all the way to kindergarten in some districts. If calculators were sufficient for producing good results, we would have good results, but we don’t. Forget the numbers we get from the education establishment, and look at the sinking abilities of students and graduates. Most of these students frequently or always use calculators in place of paper and a pencil. Look at the weak pass rates on college entrance exams for which calculator use is allowed. Calculators are handy tools once skills have been learned, but an over-reliance on calculators during the learning process inhibits learning. Over-reliance turns into dependence; dependence prevents students from developing skills and necessary number sense. At that point, the much-vaunted Holy Grail of reformers – i.e. “deeper conceptual understanding” – is out of reach. You can see why so many Americans struggle now with division and multiplication. The current incarnation of reform math has been around for about 30 years. Many students and graduates are now math-illiterate and math-phobic – panicked at the thought of doing simple calculations. The failure of reform is obvious to all except the reformers and the unaware. If any other institution operated this way – pushing failed products and ideology around, long after their failure was proved 700 ways from Sunday – the people would rise up, consumer groups would be up in arms, there would be inquiries and a class-action lawsuit, and the media would slice and dice those responsible for the mess. Unfortunately, most of the media remain stubbornly ignorant, their eyes closed to the children’s misery. Sadly, the Common Core initiatives are bringing back reform math to many districts that had managed to kick it out. The media are again bleating – as they did in the 1980s, 1990s and 2000s – “Oh, look! A new way to teach math! It doesn’t look like the math you had as a child, but it will improve conceptual understanding and be more fun!” Blah, blah, blah. It seems that every time math advocates manage to get somewhere in a district, some idiot with a BA in English and a doctorate in education brings bad process right back in – often assisted by the local newspaper. It’s shocking that reformers continue to get away with damaging the children like this. Reformers still love reform – after 30 years of failure. They refuse to see, appearing to care more about their pet theories and their ego than about the children. Until the de facto federal takeover of public education manages to block all escape, parents can still walk away from reform math by finding different schools, by hiring tutors, or by homeschooling. The children get one shot at a good K-12 education. At some point, the rubber must meet the road. At some point, the students need that math. Parents must make sure their children have it. Rogers, L. (October 2012). “In defense of vertical multiplication: Reform methods stumble over decimals." Retrieved (date) from the Betrayed Web site: http://betrayed-whyeducationisfailing.blogspot.com /. What’s the big deal about that? Sure, the reform method is clunky, eking its way to the answer rather than getting there efficiently. So what? The field of public education appears to love it, so why not teach it to the children and not worry about it? Here’s why. The reform method doesn’t work well with larger numbers. It isn’t efficient. It doesn’t include decimals. It adds too many steps, allowing for more possibility of error. It’s difficult to later switch students from that method to the more-efficient algorithm. And – most important – the reform method often leads to wrong answers. Despite what reformers seem to think – a correct answer is the entire point of a mathematics calculation. Math is a tool that we use to get a job done. Not long ago, I was explaining this reform approach to some college folks. A young math professor was listening in, nodding his head and saying, “Uh, huh. Uh huh,” in that encouraging way people do when they’re in agreement. “You don’t sound shocked,” I said to him. And he wasn’t. He praised the reform approach and appeared to prefer it. I was surprised, but I thought perhaps he wasn’t familiar with its complications; he claimed to be seeing it for the first time. So, I asked him to do a problem for me. Long division efficiently provides a complete answer to the problem. On the white board that day, however, the young math professor used the reform method. His answer: 247 remainder 9. Whoops. Someone in the room (not me) wrote a huge question mark next to his work. Math advocates will not be surprised to know that this person never budged on his assessment of which approach was better. He stubbornly maintained that the reform approach is easier, leads to more understanding, and should be the method taught to small children. He said the traditional approach is not “intuitive,” that children can’t learn it, and that division should be done with calculators anyway. We stared at his garbled work on the board. When I asked him – politely, I swear – how the reform approach is “simpler,” he responded defensively: “I’m not the enemy.” Every time I reminded him that his answer was not complete, he would say, “I’m not advocating for this. I’ve just seen this for the first time today.” But then he would continue to advocate for it. He never wavered in his support for the method, despite his incorrect work and unfinished solutions. It was stunning. But this is reform math, and this is typical of reformers. Division isn’t the only problem in reform math. I tutor students who come to me not understanding negatives and positives because – instead of being taught the number line – they were taught reform methods such as the building model and the balloon model (going up is positive, and going down is negative). Where in these models is zero? Where is the concept of infinity? Where are fractions and decimals? The number line contains all of it, but reformers purposefully avoid using the most-efficient methods such as the number line. Who loses? The children. Many children also haven’t been properly taught fractions, they don’t know how to convert from fractions to decimals to percentages, they don’t know basic formulas such as the Pythagorean Theorem, the point-slope formula or the quadratic formula. They don’t know speed/distance/time ratios. Many don’t even know their basic multiplication facts, how to read an analog clock or a ruler, or how many days are in each month (which is critical to calculating calendar time). Young children do NOT need to know why an algorithm works. They need to know the most efficient ways to get correct answers. Young children should NOT be forced to struggle and get things wrong initially. It causes them to become frustrated and to lose heart – whereupon reformers blame them for not being motivated. Who could possibly be motivated when faced with garbage like this? Math is a tool to get a job done – unless, as my daughter noted wryly – 4th graders are beginning a PhD in number theory. The dearth of basic skills is bad enough, but graduates also continue to struggle. Without long division, how do they divide a polynomial? Many math programs have deleted it from the curriculum. Not necessary, they say. Long division, not necessary. Basic math facts, not necessary. Fractions, not necessary. What’s important to reformers are fuzzy concepts for which they can’t be held accountable: “Deeper conceptual understanding,” “critical thinking,” “collaboration,” “real-world application,” and “self-discovery.” When you see those terms in your child’s math program, grab your babies and run. This is what the children in many public systems face – stupid approaches from clueless people. Simple problems are made to be clunky, inefficient, and incomprehensible. These approaches will damage their futures forever. You would think that 30 years of absolute failure would have killed off reform math, but the fervor of reformers for fuzzy math is nearly cult-like, and their opposition to the efficiency and effectiveness of traditional math borders on hysteria. Reformers have no real support for their approach, no scientifically collected data to support it as being better than traditional math, but they will not let go of it, claiming that reform math would work if teachers would just do it properly. Sadly for the children, reform math is now seeing a resurgence, due to the federal imposition of the Common Core initiatives. Many pro-reform-math decision-makers are using the Common Core to implement more reform math. It boggles the mind. I stood next to this professor, listening to him claim something akin to “the moon is made of green cheese and pigs fly.” His process was inefficient and nearly incomprehensible, and his answers were incorrect, yet he preferred it. His face had the same blank look I’ve seen before on reformers – stubborn and closed -- in denial of what was right there in front of him and obvious to everyone else. I gave up trying to talk with him. I know from experience that the indoctrinated will not listen. Weak outcomes, angry parents, frustrated community members, a nationwide mathematical Dark Ages, and millions of suffering children will not break through their certainty. Alas, this professor is not the only math professional to have accepted the Kool-Aid. Spokane Falls Community College uses reform approaches in some of its remedial classes, and there are others. The traditional approaches to mathematics were developed by brilliant adults over thousands of years. It’s astonishing that all of that work is being tossed out for methods that are proved to be flawed – in proper studies and in student outcomes. It’s alarming that a dogmatic commitment to reform math appears to be worming its way into departments of mathematics. Without intervention, there soon will come a day when few Americans know any math at all. At that point, American dependency on foreign professionals will be complete. What will happen then to our children? Rogers, L. (October 2012). 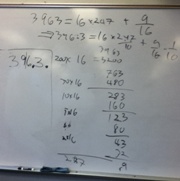 “In defense of long division: Pro-reform professor capably shows why reform math doesn't work." Retrieved (date) from the Betrayed Web site: http://betrayed-whyeducationisfailing.blogspot.com /.